Five years ago, I wrote an article about Harry Kellar and Harry Houdini, and then wrote a follow-up article on a different blog. I've decided to move that 'other' article over here for you to enjoy, but I'm also rewriting it a bit. I am totally fascinated by these two performers. I can't get enough of Kellar and Houdini. The more I find out about each of them, the more interesting they become. 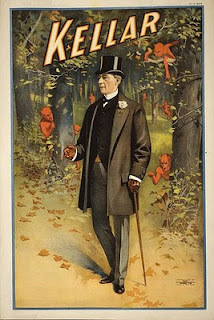 KELLAR of course was the first nationally famous magician born in America. Robert Heller and Herrmann the Great preceded him, but Heller was English and Herrmann was from France. If you want to go back further, you could make the case for Signor Blitz as he was quite famous as well, but again, he was from another country. Kellar was born in Erie PA so he was a native born son. It's said that Harry Kellar was the inspiration for the character of the Wizard in the Wizard of OZ. Actually, I've only heard this said within the magic world. I have a biography of L. Frank Baum, the author of the Wizard of OZ and there is no mention of Kellar in the book. Still, that doesn't mean he wasn't the inspiration. Kellar was around before the modern media, before radio/TV/internet/movies, and certainly no Social Media. In fact, in Kellar's time, it was rare to see a photograph in the paper, as that technology was still in it's infancy. Instead, there were line drawings or fancy fonts in ads that were being used. So how did Kellar sell his show? POSTERS, newspaper ads and word of mouth! Kellar has some of the most beautiful and highly collectable posters in the history of the theatre. If you examine Kellar's posters you'll receive a 19th Century lesson on Branding that is still valid today. His posters had a consistent look and theme. Whether they displayed young Kellar or older Kellar, they were still done in the same style. Some posters featured Kellar performing his signature effects, others showed only Kellar...and usually a few of his devilish imps appeared in the posters as well. There are a number of effects in Kellar's show that have always intrigued me, probably because I saw posters for them when I was starting out in magic and the images stuck with me. Two in particular were Flyto and OH!. Flyto was an illusion invented by Charles Morritt and it consisted of two upright rectangular cabinets on the stage set several feet apart. A woman would go into one and a man into the other and instantly they would change places. OH! was kind of a challenge vanish. There was a chair, with a curtain cabinet around it. A Steel plate went under the chair to prevent someone from dropping into a trap door. 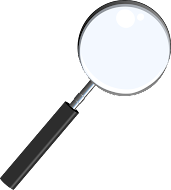 The assistant who sat in the chair put her hand through the curtain which was held by a spectator from the audience, and the other hand held a ring which was attached to a cord held by another spectator. And under these stringent conditions the person in the chair still vanished without a trace! HOUDINI was not born in the USA, but he always presented himself as if he was. In his mind he was a mid-westerner from a little town called Appleton. Now, where Heller and Herrmann were Kellar's rivals, they had a different connection to Houdini. Herrmann was a distant relative (maybe). Houdini enormous respect for Heller, even going so far to track down the old magi's grave. He said of Heller, "he was the most versatile magician to ever life." 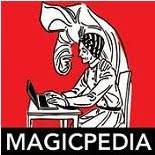 Houdini was not the inspiration for any fictional characters that I'm aware of, however, he was such an iconic figure in history that he became the inspiration for many people inside and outside of magic. Even today, they still make movies and write books about this fellow, so still he has a hold on the public's imagination. Houdini predated the internet/social media and TV. But he was right there when radio and movies were in their infancy, and he used them to the best of his ability. He did a number of radio interviews and as far as movies went, he starred in movies as well as opened his own movie studio to produce his own movies and his own film development company. He also used newspapers in ways that others had not with his sometimes scandalous photos (think naked jail escapes). Through his outdoor escapes he created his own sort of 'social media', back then it was called 'word of mouth' and it was extremely effective. Like Kellar, Houdini used posters to their maximum effect. He even had one poster that had devils on it, but he eventually went his own way when it came to the images on the posters. He emphasised drama, fear and emotion in many of his posters. The Water Torture Cell posters and the Milk Can, 'Failure Means a Drowning Death' and the Water Torture cells often had the depiction of a green giant putting Houdini in the cell. Pure drama! In regards to his performing material I've always been intrigued with the escapes but lately it's his magic that is pulling me in. I never in a million years considered doing the East Indian Needle Trick. The It's an effect that has danger (real danger) and suspense and it appears totally impossible. It's frankly brilliant and Houdini recognized the trick for how powerful it was. He would do it in newspaper offices, he even did it on the stage at the Hippodrome Theatre, one of the largest stages in the world! Watch for it in my act, because it's coming. Houdini's Walking Through a Brick wall is another piece that is simply genius. Though I don't expect to Walk Through a Brick Wall anytime soon (it won't fit in my Van). And frankly, I have a new found respect for the Milk Can after having done a ton of research on it. 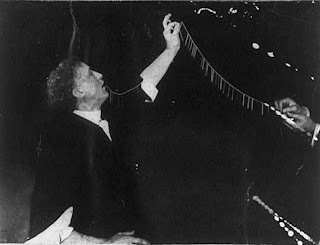 The Milk Can restarted a stalled career for Houdini and then when he was ready to replace it with the Water Torture Cell, he found continual uses for the Milk Can. It's ironic that Houdini and Kellar didn't really become friends until after Kellar retired. Houdini always looked up to Kellar. 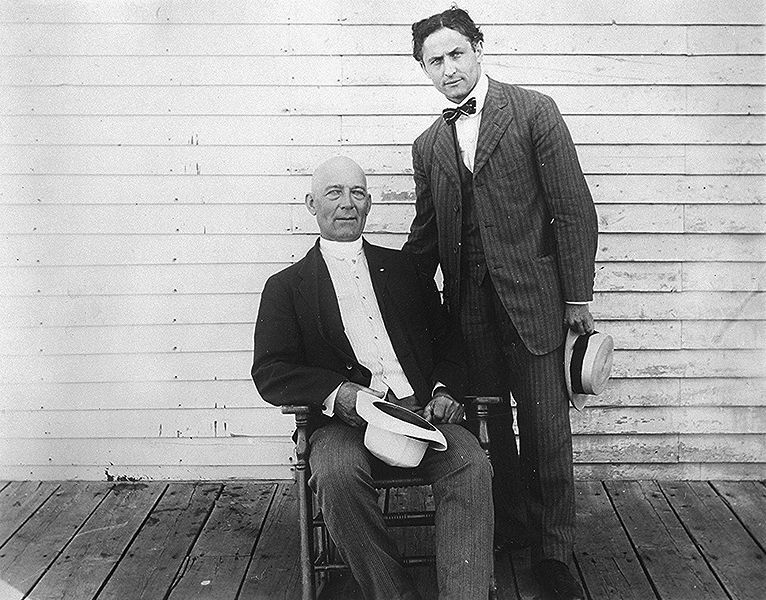 Houdini had a habit of looking up to 'father-figures'. Kellar fits this description, as does Harry Cooke & Oscar Teale. The Houdini/Kellar relationship carries a valuable lesson. No matter how famous you are, there are people out there that you can admire. These two performers, certainly both admired each other. Great blog Dean! Harry also used films of his bridge jumps to open his act. Theater managers were not pleased about that.